Yesterday afternoon I stepped out onto my porch to see if I could survive for more than a couple of minutes without catching fire. We all have our ways of keeping cool. 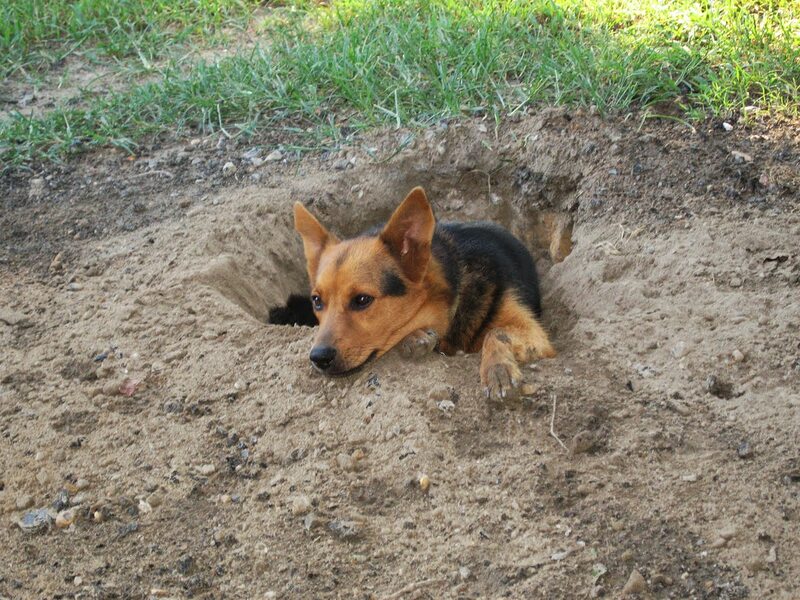 Apparently, Gator thinks that China is cooler and that if she digs long enough and deep enough, she'll get there. It just looked like she just rocketed in but did not burn up on reentry. smart puppy! 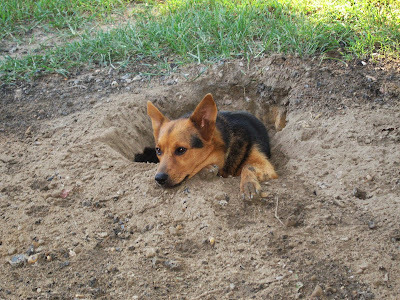 I too felt like digging to the aquifer this weekend. even my tap water is warmish. yuk. Oh Jeanie, this photo is too hilarious! The look on your dog's face and his posture are too much. Why did he just not get in the doggie pool?? As hot as she was, she likes to revel in the anticipation of a fresh pool. I do envy her schedule. Maybe we should hire her out.